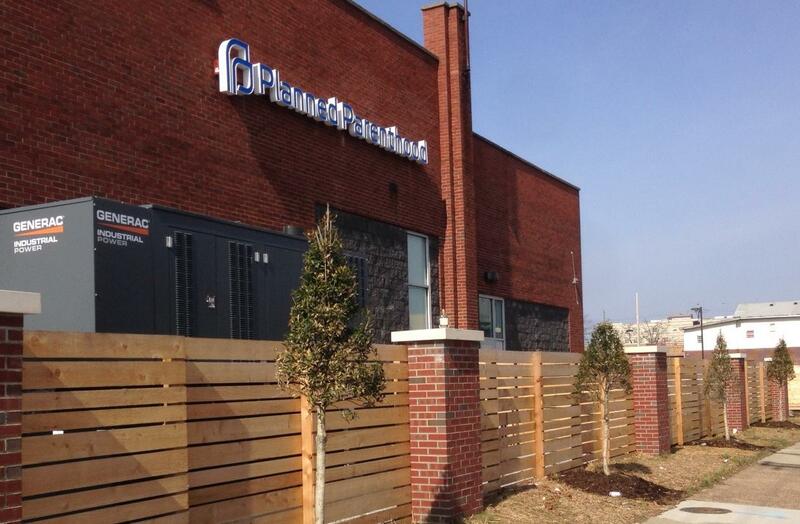 LOUISVILLE, Ky. -- In a victory for abortion-rights supporters, a federal judge struck down a Kentucky law that had put the state's last abortion clinic at risk of closing when Gov. Matt Bevin's administration cited it in a licensing fight with the facility. U.S. District Judge Greg Stivers, in a long-awaited ruling, said Friday that the two-decade-old law violates constitutionally protected due process rights. The law required Kentucky's abortion clinics to have written agreements with a hospital and an ambulance service in case of medical emergencies. Stivers said the so-called transfer agreements "do not advance a legitimate interest" in promoting the health of women seeking abortions. "The court has carefully reviewed the evidence presented in this case and concludes that the record is devoid of any credible proof that the challenged regulations have any tangible benefit to women's health," Stivers wrote in his 60-page ruling. "On the other hand, the regulations effectively eliminate women's rights to abortions in the state. Therefore, the challenged regulations are unconstitutional." The ruling was welcomed by the American Civil Liberties Union, which joined the legal fight on behalf of the Louisville abortion clinic. A spokeswoman for Kentucky Gov. Matt Bevin said the decision will be appealed. In a statement, ACLU attorney Brigitte Amiri said: "The court's decision recognized the Kentucky law for what it is: an attack on women wrapped up in a bogus justification and pushed by politicians who've been transparent in their pursuit to ban abortion in the state of Kentucky." The governor's spokeswoman, Elizabeth Kuhn, said Bevin's administration is confident of winning a reversal on appeal. The Republican governor is a staunch abortion opponent. "We are disappointed that the court would strike down a statute that protects the health and well-being of Kentucky women," Kuhn said. EMW Women's Surgical Center, the state's last abortion clinic, challenged the state law. The case revolved around a licensing fight that began when Bevin's administration claimed the clinic lacked proper transfer agreements and took steps to shut it down. The clinic countered with a federal lawsuit to prevent the state from revoking its license, arguing that doing so would violate a woman's constitutional right to an abortion. A trial on the lawsuit was held a year ago. Planned Parenthood of Indiana and Kentucky joined the suit, claiming Bevin's administration had used the transfer agreements to block its request for a license to provide abortions in Louisville. Stivers said that despite the "best efforts" of EMW and Planned Parenthood, no Louisville hospital is willing to join in a transfer agreement. As a result, it's impossible for them to comply with requirements for transfer agreements, he said. Attorneys for the state contended the transfer agreements did not put a substantial burden on a women's right to obtain an abortion. They said the law is needed to ensure that women experiencing complications from abortions are properly transferred to hospitals. The state's attorneys also had noted the availability of abortion facilities in neighboring states, even presenting charts depicting the distance from various Kentucky cities to abortion clinics in those of other states. Stivers said the availability of out-of-state clinics did not "cure the infirmities" in the Kentucky law. "Defendants' contention that it can trample upon the rights of Kentucky women because those rights could be exercised in other states is without merit," the judge wrote. In his ruling, Stivers also referred to the testimony of one of the clinic's founders, who said he had never had a patient die because of an abortion and said the ratio of hospital admissions to abortions was about 1-in-2,000. When complications do arise, they typically occur long after women have left an abortion facility, the judge noted. "Therefore, the existence or absence of transfer or transport agreements between abortion clinics and hospitals or ambulance services has no impact on the vast majority of the rare post-abortion complications," Stivers wrote. Dr. Ernest Marshall, who opened the clinic decades ago, said the ruling means the facility will remain open. "The patients that walk through our doors have already dealt with so many obstacles," he said. "I'm glad that despite those challenges, they will still find our doors open to them thanks to this victory." The case was the latest setback for abortion foes in a bitter legal feud between the ACLU and Bevin's administration. Last year, another federal judge struck down a Kentucky law requiring doctors to perform ultrasounds and show fetal images to patients prior to abortions. Bevin's administration appealed, and a federal appeals court heard legal arguments in the case in July. Meanwhile, a new Kentucky law seeking to ban a common procedure for second-trimester abortions is on hold temporarily pending a trial later this year after the measure was challenged. The law would ban a procedure known as "dilation and evacuation." It seeks to ban those procedures performed 11 weeks after fertilization.